I recently noticed cobwebs developing on my website when I saw the last published date was July, 2015, almost two years ago. The acceleration of time over the last several years has become more and more noticeable... My inability to update this site has perhaps been a combination of not feeling that I have anything adventurous to post about, an unconscious concentration on other social platforms, (blogging has become unfashionable, apparently), a difficult period in my personal life and a move interstate. The promise of a short film 'The Voyage of Harmony' had a setback with the unusual corruption of video working files and the parallel failure of my backup. I'm usually extremely good with keeping data safe (it's part of what I do) - thankfully I was able to retrieve my work eventually, however unfortunately it demoralised me in the process. I do however plan to have a first cut ready for screening at the Adventure Travel Film festival in Bright this summer. I've always dreamt of living remotely faraway in my own home - this was achieved late year when I moved to the end of the earth: Tasmania, Australia. In all my travels I had always wished I had a 'base' to come home to, a place to recharge and dream from. If you are ever in Tasmania, get in contact, I'd love to host you. 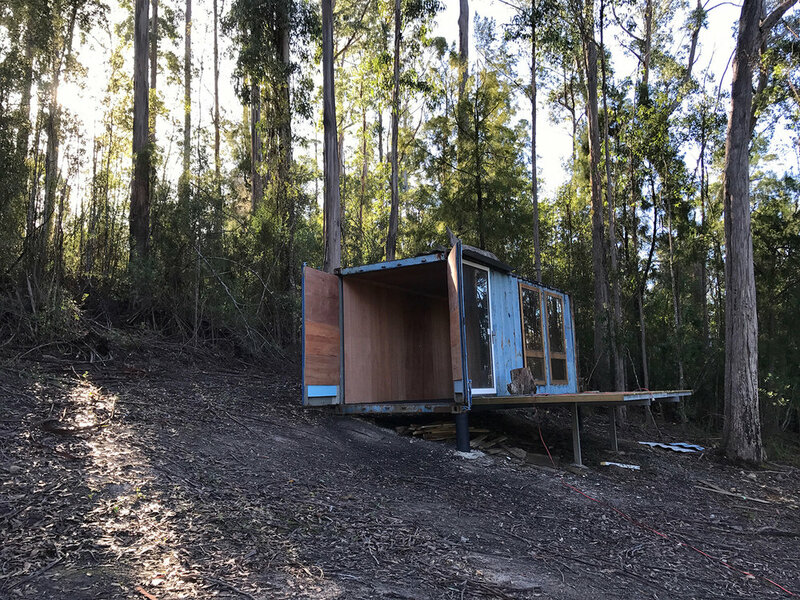 I've been working on a small shipping container cabin, made from a 20ft container which was already on the property when I purchased it. I hired a crane, moved it onto pillars and started work. I will do a full blog post on this little project when it's finished. Within my the main business where I spend the majority of my time, we made our first (small) acquisition and bought a Brisbane-based company - this was a strategic purchase primarily for the infrastructure. I then went on a roadtrip to pickup a van full of servers and bring them back to Melbourne for deployment. I've also been working on various side projects, including small-scale manufacturing and product design, something I've wanted to do for a long time but never had the space or the resources. 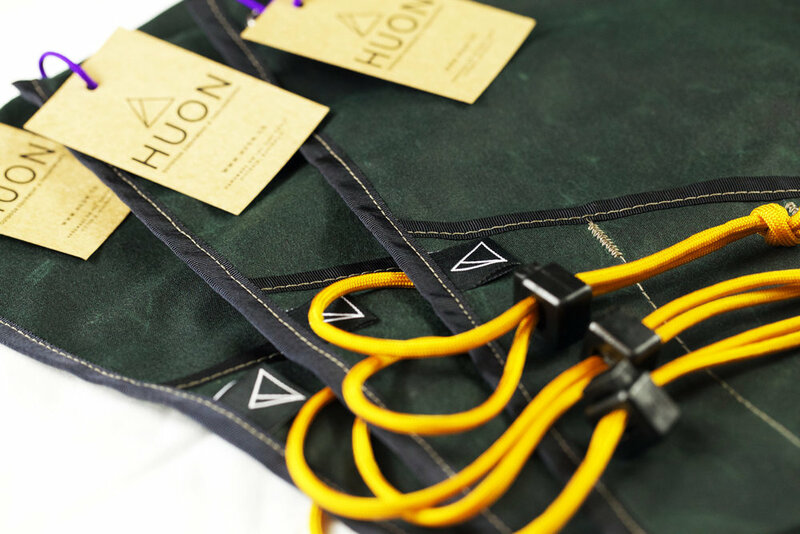 I became obsessive about industrial sewing machines and industrial fabrics, eventually putting a small label to market. This work has slowed recently for lack of suitable workshop space, however I'm working towards resolving with the above container studio. In August 2016 I did some drone work for a chef on Satellite Island, a private island in Tasmania. Satellite Island, Tasmania from nickj on Vimeo. Adventure-wise not a whole lot has been happening, with my energy dramatically funnelled elsewhere - primarily into the projects above, my work and other more personal things. Although I have some plans! 2016/2017 has been full of dramatic adjustments, although I'm beginning to feel whole again which is perhaps why this post has materialised after two years. I have other projects and work under wraps, which I will write more about soon! Knowing when to quit is twice as as hard as knowing when to push through. Ben Saunders - Open Ending from Ben Saunders on Vimeo.